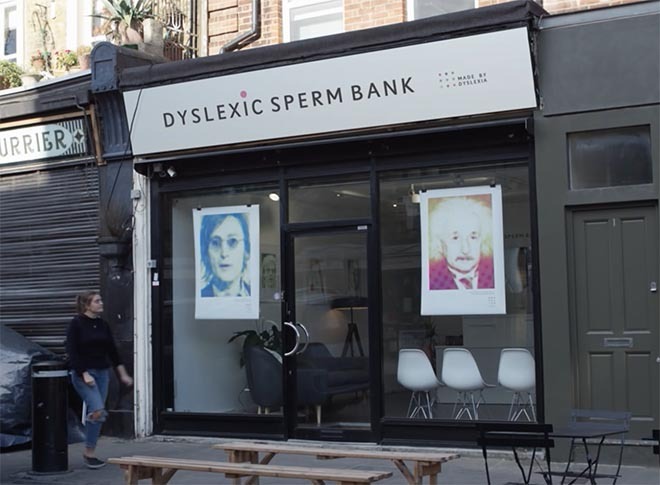 Made by Dyslexia, a new not-for-profit launched this month by dyslexic entrepreneur Richard Branson, is changing the world’s perception of dyslexia through the Dyslexic Sperm Bank in central London. 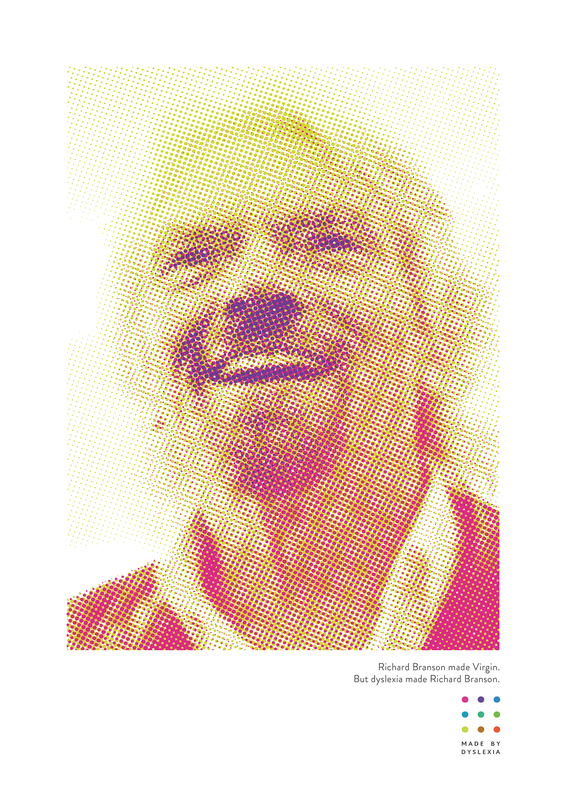 No one left with a dyslexic baby, but everyone left with a new perception of dyslexia. Hidden cameras captured the public’s reactions. In 3 days, the stunt reached 77 million and changed the world’s perception of dyslexia. Research in the UK shows that 80% of the population think dyslexia is a disability. One in ten people are dyslexic, accounting for more than 6.5 million people in the United Kingdom yet only 3% of people think it is a positive trait (YouGov research 2017). Posters in the store and online at madebydyslexia.org feature famous dyslexic men (where are the women?) who rose to greatness. 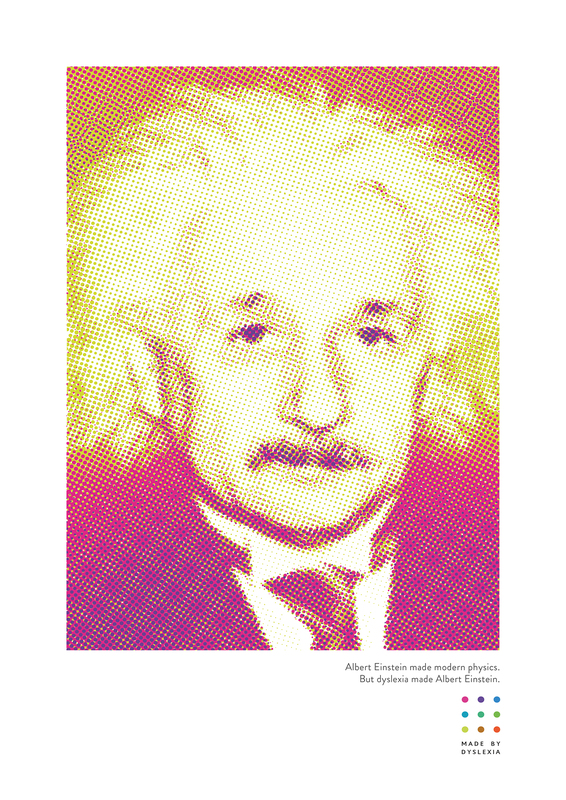 From Albert Einstein to Henry Ford, Steve Jobs to Thomas Edison and Alexander Graham Bell, George Washington to Leonardo da Vinci and The Wright Brothers, dyslexics have made the modern world. The Made by Dyslexia logo is a matrix of nine coloured dots. The organisation’s “Connecting the Dots” report highlights key facts about dyslexia, combining a summary of what we already know, with new research into dyslexic thinking skills. 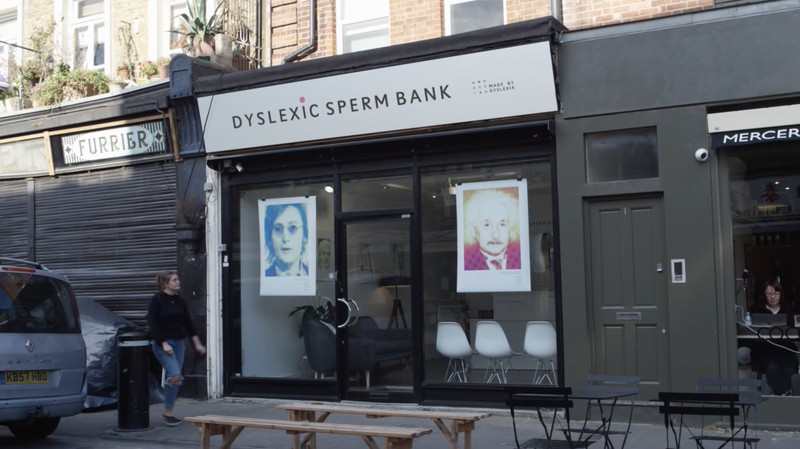 The Dyslexic Sperm Bank campaign was developed at Y&R London by executive creative director Jonathan Burley, creative director Psembi Kinstan, art director/copywriter George Robb, business director Claudia Newman, account director Lou De Keyzer, agency producers Megan O’Hagan and Adrienn Major, head of strategy Tamsin Djaba, and junior strategist Jenika Haipour. Filming was shot by directors and art directors Ben Hanson and Simon Frost via Praxima with producers Sam Barlow and Zoe Barlow. Editors were Jude Moore and Ashley Joiner. Post production and sound was done at Hogarth by producers Robson Yeo and Fiona Winburn. Music was produced at Native by composer Joe Skinner and producer Dan Neale.